Tequila is the spirit of Mexico. But if you think it’s made from cactus or there’s a worm involved you’ve been sadly misinformed. A clear, distilled spirit made from the agave plant, a succulent similar to – but not the same as – a cactus. Its colour ranges from clear to golden but one thing remains constant: its high alcohol content! True Tequila hails only from a specific region in Mexico. Anything made anywhere else cannot call itself Tequila. Aficionados enjoy Tequila as a premium spirit, savouring its flavour from specially designed glasses and sipping it neat. It can be sweet and smoky or dry with mineral flavours depending on its age and region of production. The invention of the worm in the bottle was actually a 1950s marketing gimmick designed to sell more mezcal (as distinct from tequila). The worm in question is usually the agave worm (butterfly larva) which lives in the heart of the plant and starts as a bright coral colour, fading to pink in the bottle. A cactus is good for many things. A rather prickly and stark decorative plant for example. Or as a vegetable. Even as a medicinal herb. But it is not, contrary to popular myth, the core ingredient of tequila. That oh-so-Mexican of spirits is crafted from the agave, a succulent native to Jalisco, Mexico. Like Champagne, true Tequila can only be called such when it’s produced in the state of Jalisco and limited surrounding areas. It’s named after the region of Tequila, located on a high plateau over 2,000 metres above sea level in Mexico’s mid-west. There are two types of tequila; 100% Agave is made only, as the name suggests, from 100% blue agave plant. The second is Mixto. Any tequila with less than 100% agave (for example 51% agave and 49% cane or corn sugar) is designated as mixto. And don’t confuse mescal with tequila either. Mescal (or mezcal) is made from any type of agave whereas tequila is only ever made from the blue agave plant. An agave-based fermented beverage was being produced by the Aztecs many centuries ago, but when the Spanish arrived in the 1500s they began creating what came to be known as tequila when they ran out of their own brandy stocks. By the early 1600s tequila began mass production but until the late 1800s, when it was first exported to the USA, it was all for local consumption. Luckily for the rest of the world America took a great liking to tequila leading to increased production and global distribution. Today tequila is gaining even more in popularity as consumers become educated in discovering the depth and breadth of the spirit’s more sophisticated offering; export demand has tripled over the last 15 years alone¹. There are four basic tequila types: Blanco, Reposado, Joven and Aῆejo. A fifth category was added in 2006 being an aged version of the Aῆejo. Blanco (white or silver) tequila is the youngest and least sophisticated category. It’s aged for less than two months – often not at all – and bottled/sold immediately after distillation. Its taste is quite sharp and earthy, retaining much of the agave plant flavour. 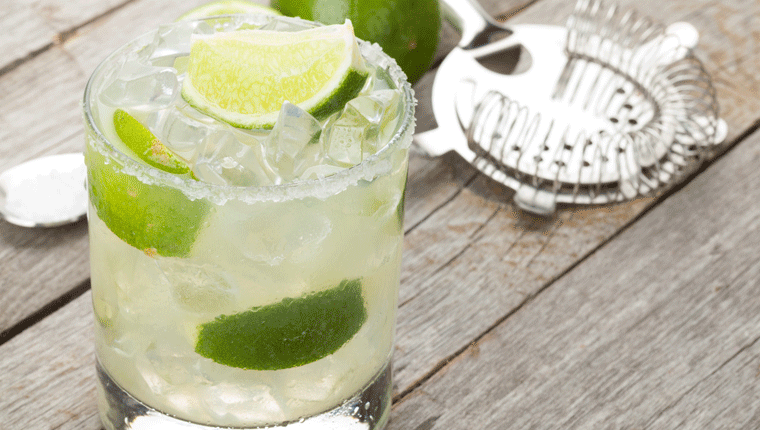 Margarita recipes often work best with a blanco tequila. Reposado (rested) tequila has been oak-barrel aged for between two to twelve months. The oak infusion provides a smooth, smoky flavour to the spirit, making it a great pairing for BBQ meat. Use a reposado in the classic La Paloma tequila cocktail, or a Long Island Iced Tea. Joven (gold) tequila is a combination of both Blanco and Reposado varieties and can also be used in margarita recipes. Its flavour is a little sweet and a little sharp, combining the flavours featured in the spirits it’s made from. Try it in a Tequila Sunrise. Aῆejo (aged) tequila is the premium version of the spirit and should be drunk neat It’s a sipping tequila, aged in oak barrels for between one to three years. Its flavour is smokier, more woody and smooth and as such pairs equally well with chocolate desserts as red meat. Extra aῆejo is the best quality tequila, having been aged in oak barrels for at least three years. It will likely be darker in colour, smokier in flavour and smoother in finish than all other tequilas. Again, this is a stand-alone tequila too good to be used in tequila cocktails. In addition to the maturity of the spirit (and how much smokiness has been derived from the oak barrels in which it’s aged), some of tequila’s flavour derives from the region in which it’s grown. Just like a good Scotch whisky is influenced by the peatiness of the water used in its distillation process, the type of soil in which the agave plant grows influences tequila’s flavour profile. Tequilas produced from agaves grown in the volcanic highlands around Jalisco are considered sweeter and more acidic, with fruity, herbal aromas. Conversely, tequilas produced from agaves grown in the lowlands – the Tequila Valley –are not so sweet with earthier, more mineral characteristics. There are three leading brands that seem to be most popular with us Aussies. Jose Cuervo is the best selling tequila in the world. There are many varieties but the reposado category - meaning it’s spent up to twelve months in oak barrels - is the most popular. Famous as the first tequila ever made by Don Jose Antonio de Cuervo in 1795, it’s still a family run business. Sierra tequila is made in the highlands of Jalisco (sierra means ‘mountain range’ in Spanish), with the agave plants hand-harvested for pressing. Due to the mineral nature of the soil, Sierra tequilas can be quite peppery. Quality tequila (i.e. 100% agave) can be drunk neat, accompanying a wide range of food. The obvious contenders are Mexican food – anything featuring avocado, coriander, tomato and chilli. In general, tequila complements seafood, smoky grilled meats and anything flavoured with citrus, particularly lime juice. A seafood ceviche for example would be ideal as would a BBQ steak with refried beans or traditional chimichurri sauce, quesadillas, fish tacos or grilled chorizo. Ideally, when food matching the tequila should be drunk neat, a little like having sake with a Japanese meal. Tequila-based drinks, such as a margarita cocktail or tequila sunrise, are great accompaniments to snacks such as guacamole or chilli popcorn but are better served as an aperitif rather than with meals.